I discovered Ralph Steadmans work in College & was smitten. The lively, exaggerated, caricatures & illustrations are of a time of their own. They’re not always easy on the eye, sometimes rather grotesque, but always compelling. So when walking in a local grocery story a familiar splash of colour and swathe of pen work caught the corner of my eye. I was drawn to it. 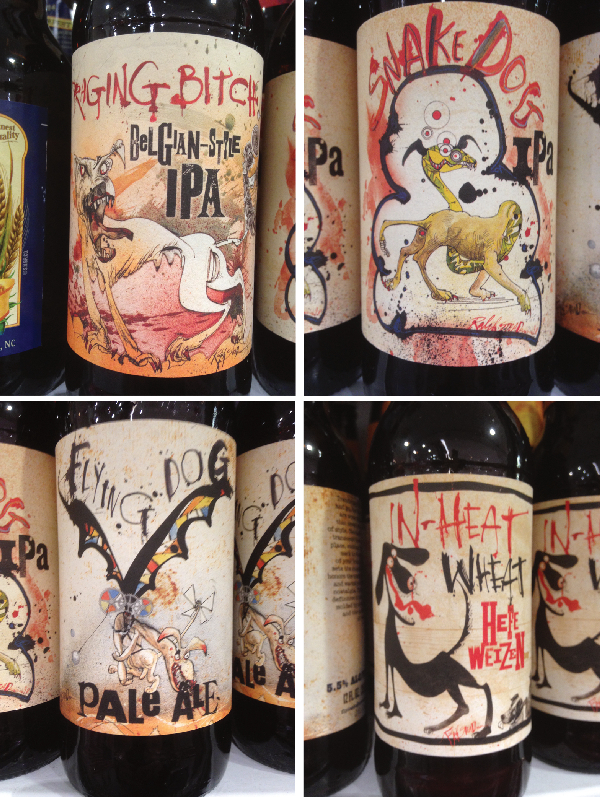 For a fascinating insight into the breadth of Ralph Steadmans work you can catch a glimpse, reading or perhaps more accurately looking at his biography. Paranoids 1986 I’m melting! I’m melting! 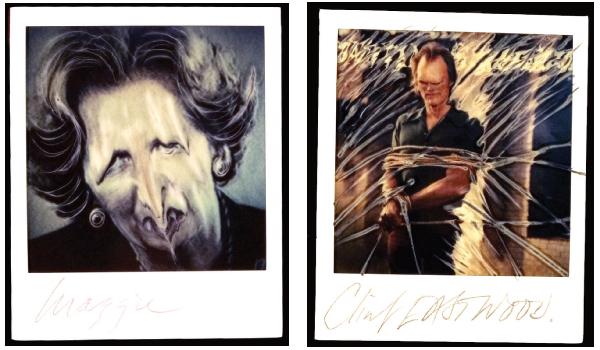 • Another of my colleagues was infatuated by Steadmans Paranoids caricatures that had been popular a few years earlier. In 1986 while on holiday in Turkey a photograph from his new Polaroid camera melted in the sun and the images became malleable. Ralph realised that with a blunt pencil (it has to be blunt) or biro (only bic will do) he could manipulate the image before it had set. It was a new form of caricature and it lead to a new book in this heretofore unexplored medium – Paranoids. I followed Steadmans Oddbins advertising through out college. In the 1980’s Ralph was approached by the wine merchants, Oddbins, to produce their wine catalogues. 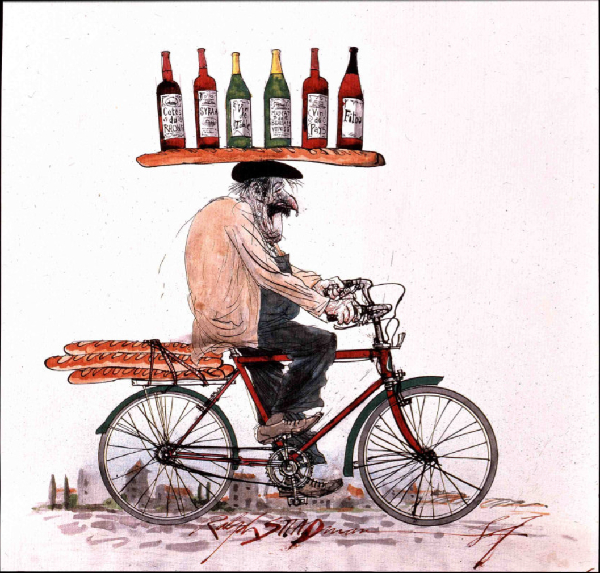 Over 12 years he travelled the vineyards of the world for them including France, Portugal, USA, Australia, and Chile capturing the scenes and characters he encountered. • Made over the course of fifteen years, “For No Good Reason,” explores the connection between life and art through the eyes of seminal British artist, Ralph Steadman. Insightful, humorous, and visually stunning, this is a study in honesty, friendship and the ambition that drives an artist. The film is a richly creative, visual feast about the power and importance of art to achieve Steadman’s aim “I learnt to draw…to try to change the world”. • The Book of Boids, on the other hand took only 18 months to create – but what an 18 months. Originally asked for only 1 drawing to feature in an exhibition to raise awareness for the plight of endangered and already lost birds across the world and Ralph could not seem to stop once he had started and found a fascination with these winged creatures. The follow-up to the award-winning Extinct Boids, this book features more of the incredible art of cartoonist Ralph Steadman. This time, the focus is not on the birds that are gone, but on the ones that there is still time left to save. These are the 192 critically endangered birds on the IUCN Red List, species such as the Giant Ibis, the Kakapo, the Sumatran Ground-cuckoo and the iconic Spoon-billed Sandpiper–these, along with a number of classic Steadman creations such as the Unsociable Lapwing, are the Nearly-Extinct Boids. So between extinct and near extinct birds. Now I just need to arrange to have this article appear on a certain Facebook profile & then the siblings will know what I’d like for that rapidly approaching time of year again.